Did you know in some states a non-purchasing spouse may still have to sign FHA loan paperwork in order for you to qualify for an FHA loan? The spouse may also have to go through a credit check even though they aren't co-signing or co-borrowing. April 28, 2017 - First-time home buyers who want an FHA mortgage will learn about a variety of requirements which must be met to qualify for an FHA home loan. Some are set by the financial institution, some by FHA rules, and some are required by state law. State laws governing FHA loan application procedures may vary greatly depending on where you live. Did you know in some states a non-purchasing spouse may still have to sign FHA loan paperwork in order for you to qualify for an FHA loan? The spouse may also have to go through a credit check even though they aren't co-signing or co-borrowing. This is usually true when state law requires it when the applicant is trying to get an FHA loan on a first mortgage. Fortunately, the non-purchasing spouse's signature is required only to acknowledge in writing that the spouse has no claim on the property. 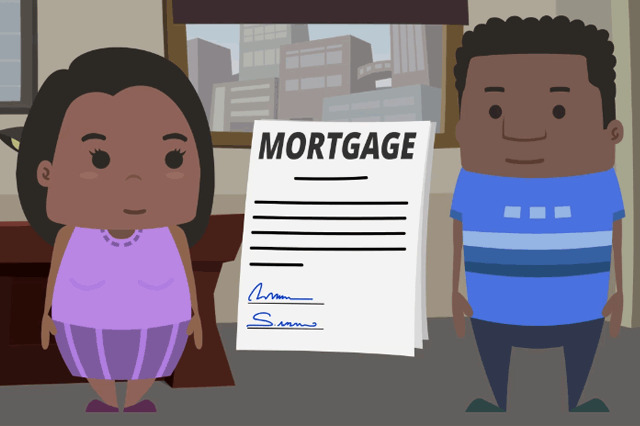 The signature also indicates the spouse is not a borrower and not required to sign the loan contract. In addition to the signature requirement, in some cases the spouse's debts must be considered in what FHA home loan paperwork describes as the borrower's "qualifying ratios". This information is used to determine the borrower's debt-to-income ratio. You'll find this common in states with "community property" laws where each spouse is entitled and liable for half of all property held in common in the marriage. Community property states have laws making each partner liable for a portion of the other's debts. When the non-purchasing spouse must submit to a credit check FHA loan rules dictate that bad credit reports on the non-purchasing spouse can't be used to deny an FHA mortgage to the borrower, but the credit check is required nevertheless. It's important to understand that in these cases, the rules apply as long as you are legally married, regardless of circumstance. Even if you are planning a divorce, the non-purchasing spouse's signature is required unless otherwise specified by state law. Some states may offer some form of relief for people getting divorced; otherwise even if you are legally separated, about to finalize a divorce decree or see the judge, until you are no longer legally married you must still submit the non-purchasing spouse's signature on the required documents. Where applicable, FHA loan non-purchasing spouse signature requirements are for first liens. According to the FHA, in all other situations the spouse's name or signature not appear on the loan documentation. Non-purchasing spouses do not get title to the property bought with an FHA home loan once the loan is paid in full. That's not just important for looking ahead to making a final payment, it may also apply when refinancing. Ask your loan officer for full details about how your state laws affect your FHA loan paperwork in this area.